Many stories to be told! Although we’re not so old, we’ve seen a lot of changes in the years since we started Generation Earth in 2010. There are many stories to be told. Here, we’d like to share a few of the bigger events and growth spurts that we’ve had. 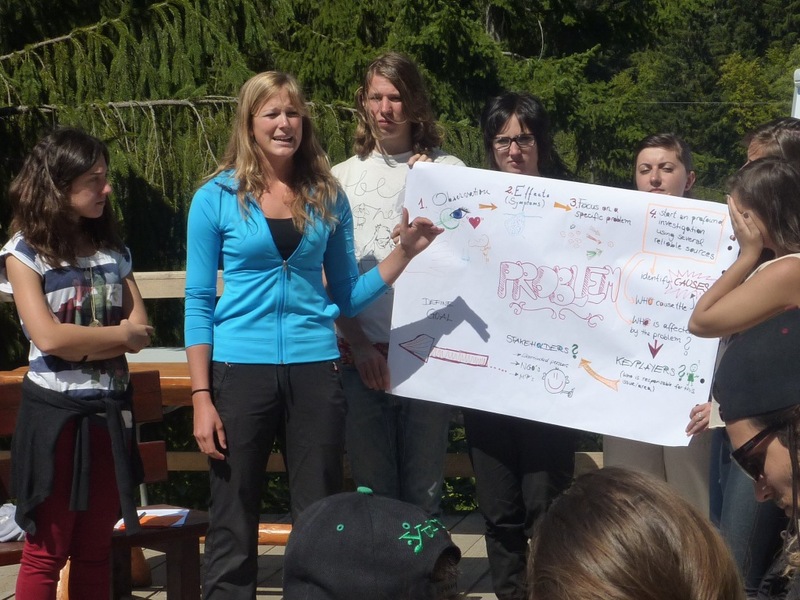 Our history begins in September 2010, when a handful of youth answered the call from WWF Austria that they were searching for motivated and passionate teens who wanted to “make a difference” and help create a new chapter in WWF’s long history of educational programs. It was at that first meeting at the Seewinkelhof in Burgenland that the magic and adventure began. The original group of 5 youth (14-18 years old), full of anticipation, curiosity, passion and some healthy degree of skepticism about what was to come, embarked on their journey with WWF to create a new youth empowerment program. Soon after, we added a few more curious and interested friends, and the group grew to a total of 7, the “founding members,” and we were off to a great start! 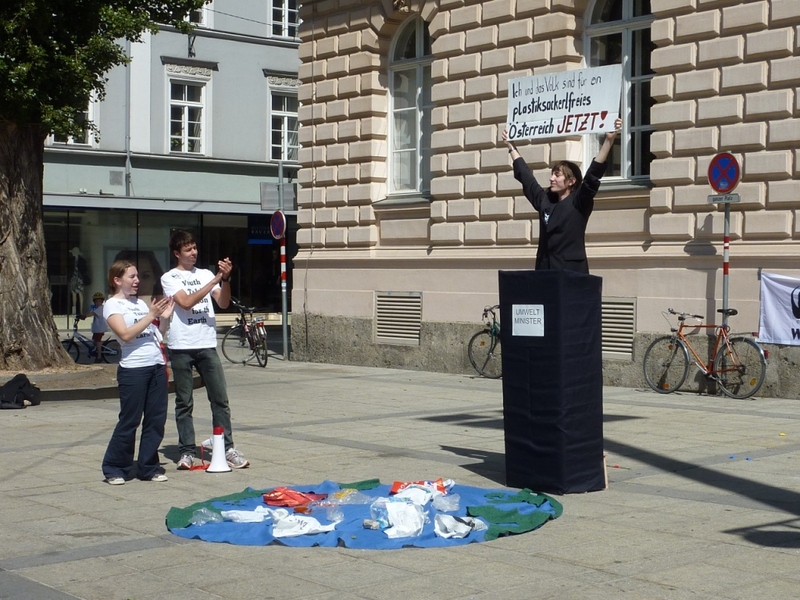 With this as our foundation, the first grand ideas for getting active arose as a campaign called: “Plastiksackerl Dislike” (plastic bag dislike). 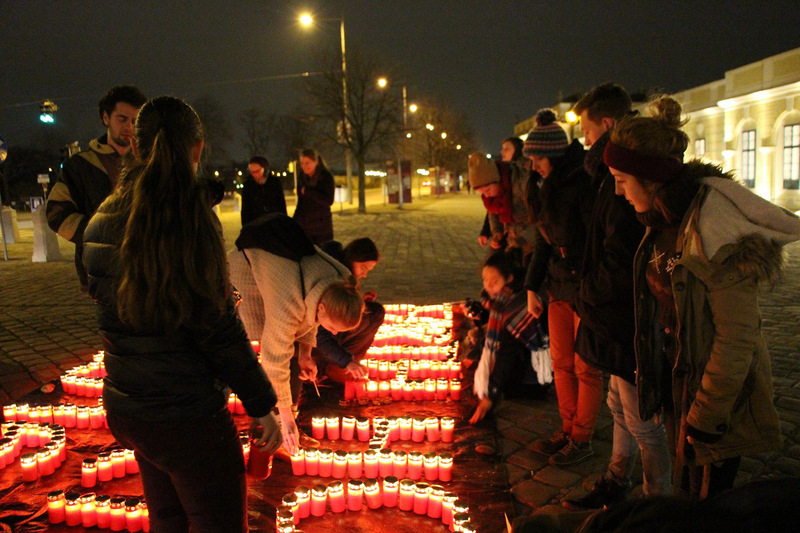 It included a wide range of activities including a youth-written petition, street theater, a cloth bag sewing competition, and more. 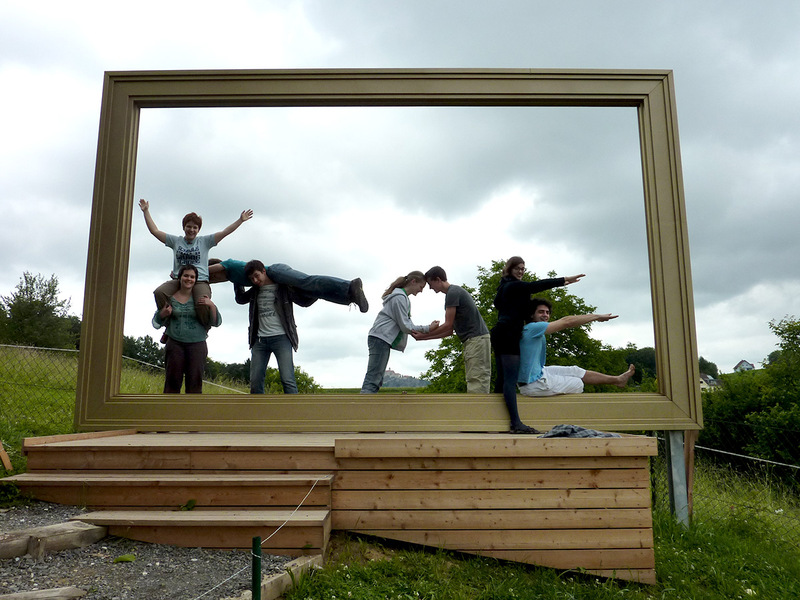 We even got 10.000 EUR from an EU youth program to cover the costs of the project for 2 years! 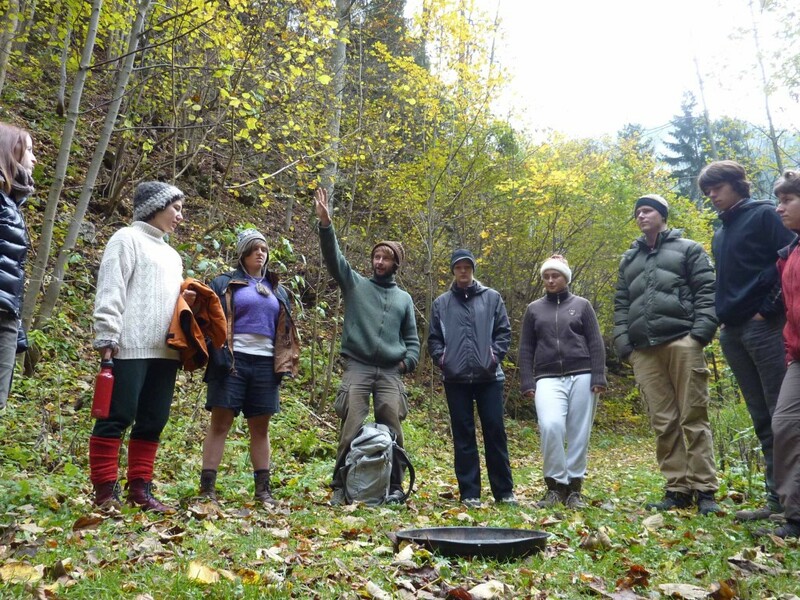 Speaking of funding, the first two years of the Generation Earth program were financially supported in part by the Ministry of Environment. 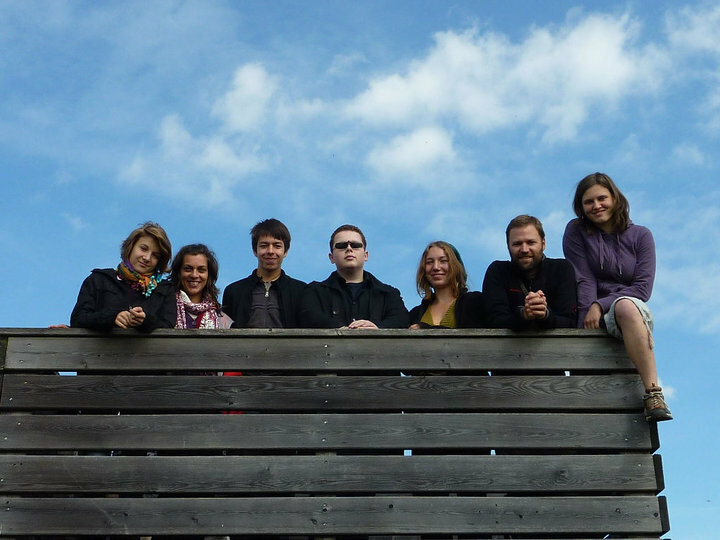 It was in the summer of 2011, that we organized our first international exchange. 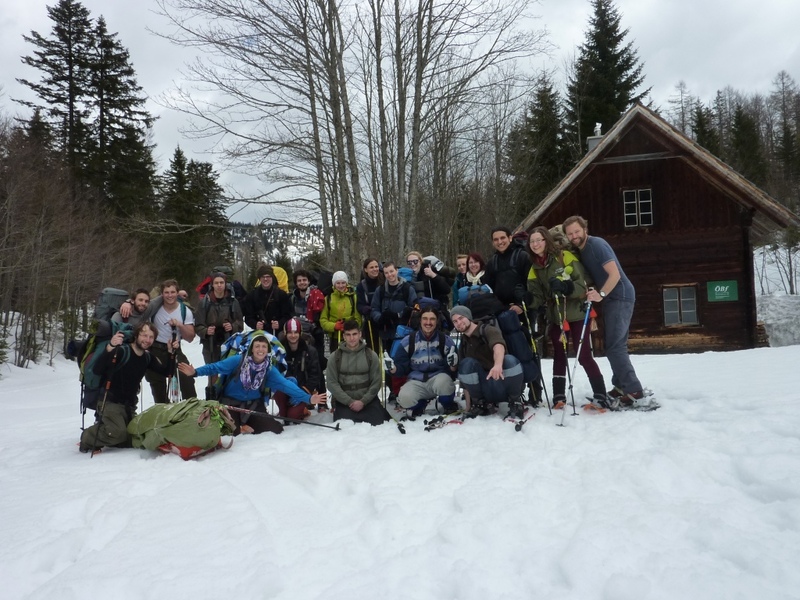 20+ youth from Austria, Bulgaria, Hungary and Romania met in the National Park Gesäuse for a 2 week youth exchange (funded by the EU Youth in Action program). 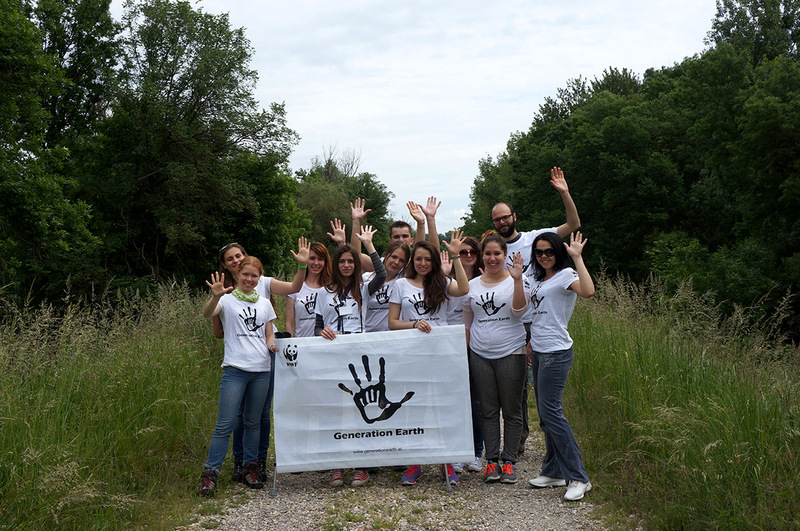 It was at this event that we decided to organize our first Danube River Clean Up. 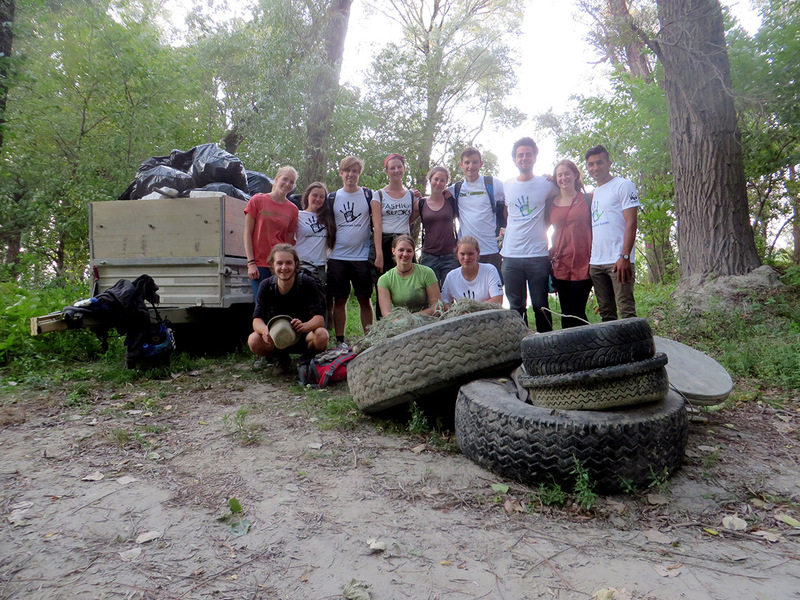 On the same day in September 2011, in each of the 4 countries, youth went to the river and gathered as much trash as they could – it was a great experience: we engaged even more youth and collected tons of trash! 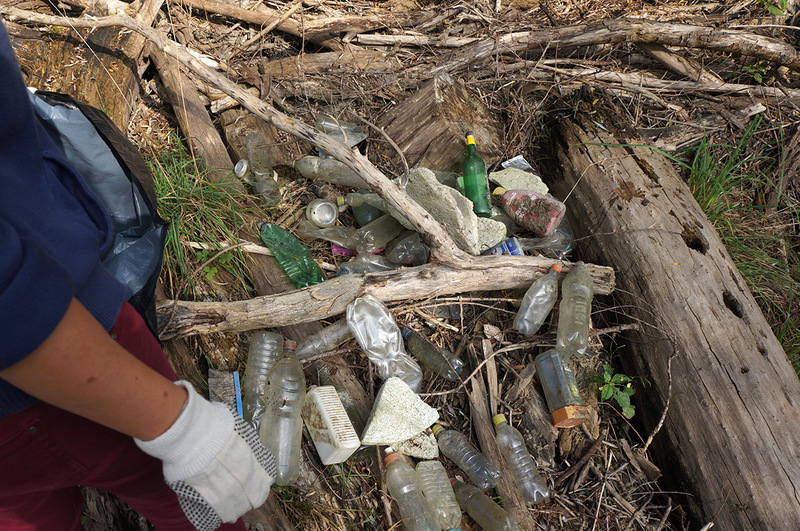 Fur Generation Earth, this would be the first in a long line of annual clean ups! Collected over 2600 signatures on our youth petition! 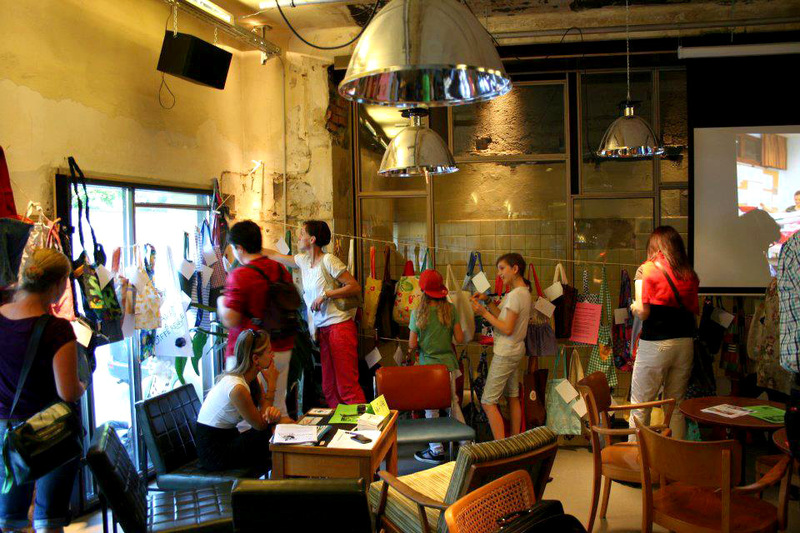 And together with YoungCaritas Tirol, organized a cloth bag competition called, “Make a Difference, Make a Bag!” where over 500 youth and adults submitted beautiful handmade bags that we displayed and then auctioned off – raising over 1.000 Euros for projects in Africa and Austria! 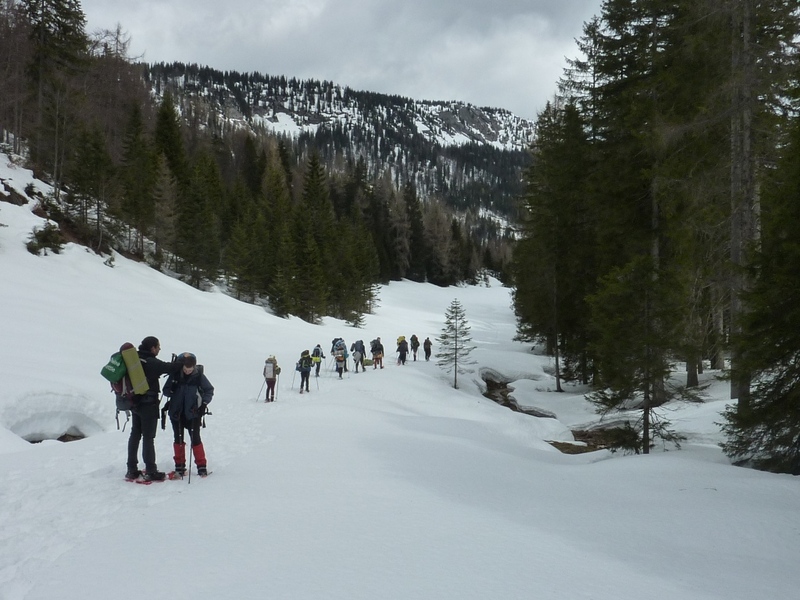 Our first “Action Days,” focused on wilderness in Tyrol, took place in February 2012 called, “Into the Wild.” We recognized the need to provide shorter, nature-connection trainings for youth who couldn’t take part in the full Action Leader Training, so we created the “Action Days.” Over a long wintery weekend, 15 youth met with WWF and Naturpark staff in Obenberg, Tyrol, and we had workshops on various topics, spent lots of time outside in the fresh mountain air (snowshoeing and having fun), and came up with future ideas for projects. 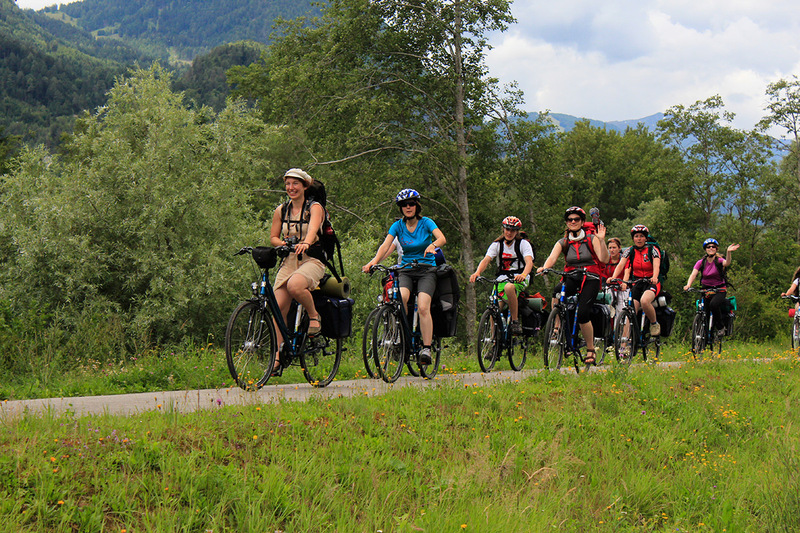 Thanks to Land Tirol, this training was made possible! 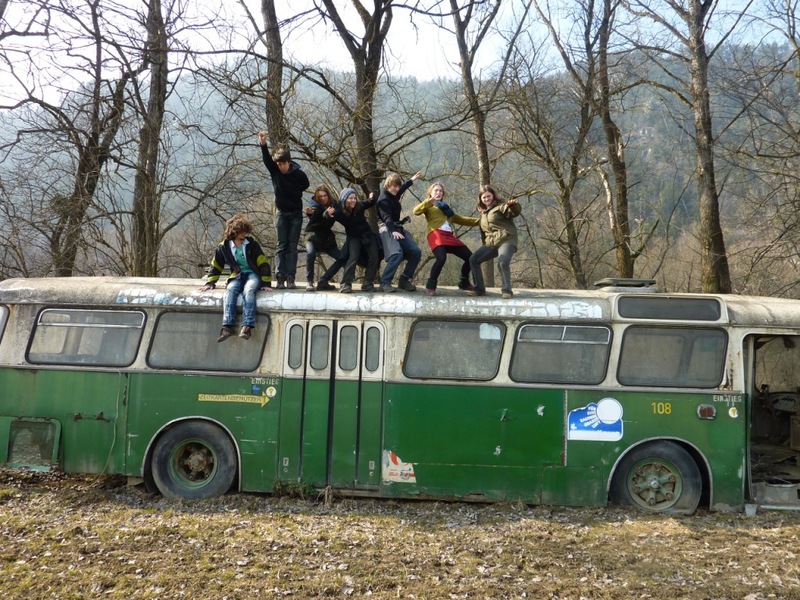 (see missing text) Mit “Into the Wild” fanden die ersten Action Days im Februar 2011 statt. 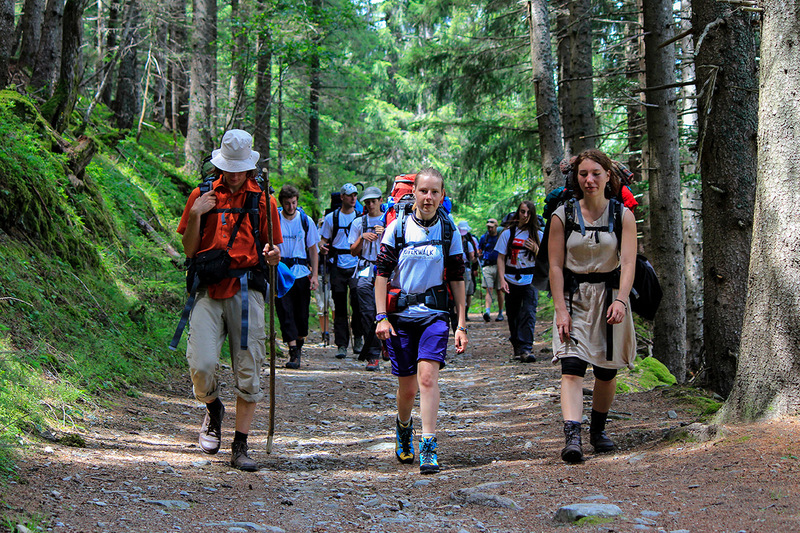 Ein Wochenende verbrachten wir mit zehn Jugendlichen in Obernberg, Tyrol . 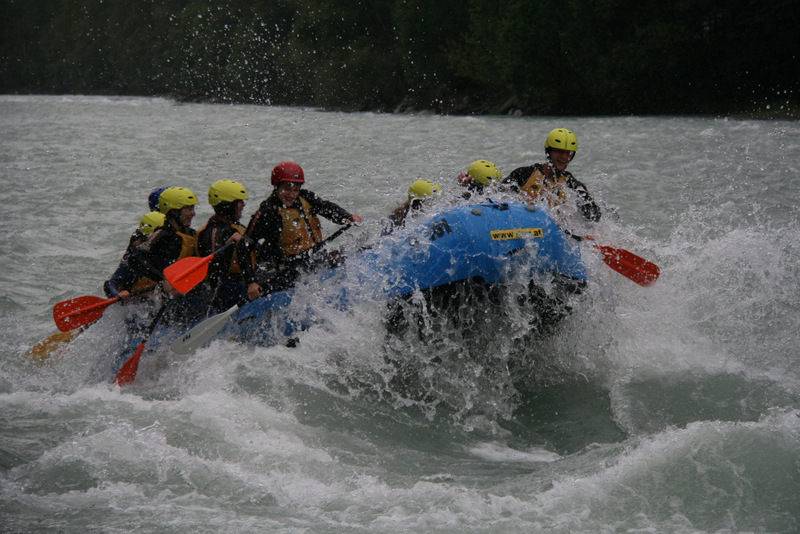 A second “Action Days” came at the end of the school year, called, “Take the rudder in your hands,” and took place along the banks of the March Thaya Floodplains. Here, 15 youth grabbed paddles and spent two days floating down the “Amazon-like” river enjoying the beautiful scenery and wildlife. After a visit to the WWF Nature Reserve and the Stork Center, we were filled with inspiration. 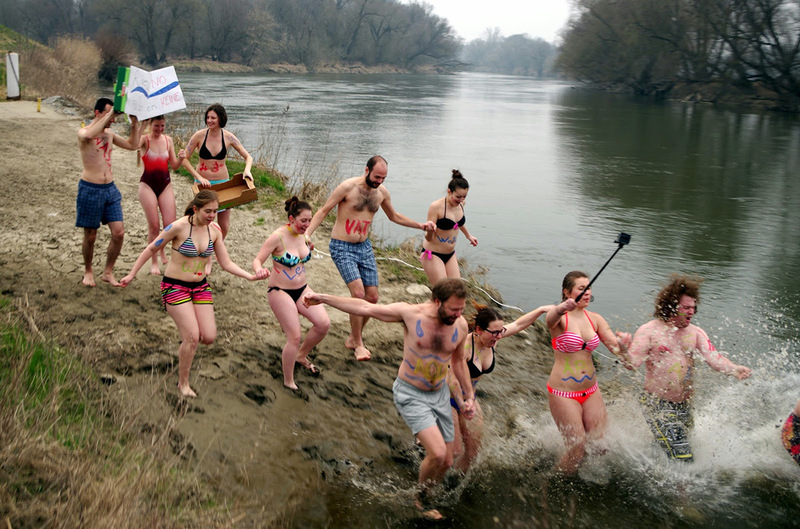 It was as a result of this trip and a presentation on biodiversity at the Green Days 2012, that the River Jump! project was born. 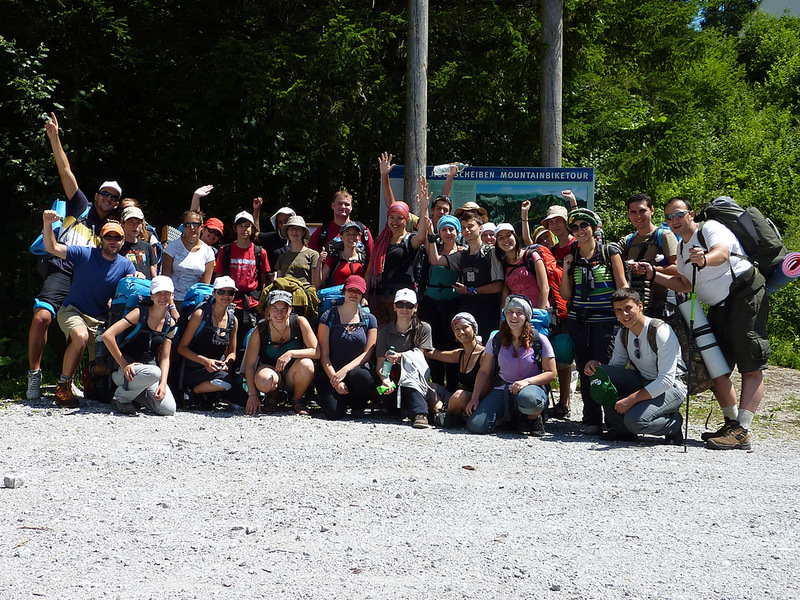 After the funding from the Ministry of Environment ended, we were unable to offer an Action Leader Training in 2012, but we were still able to get active during this rebuilding year. 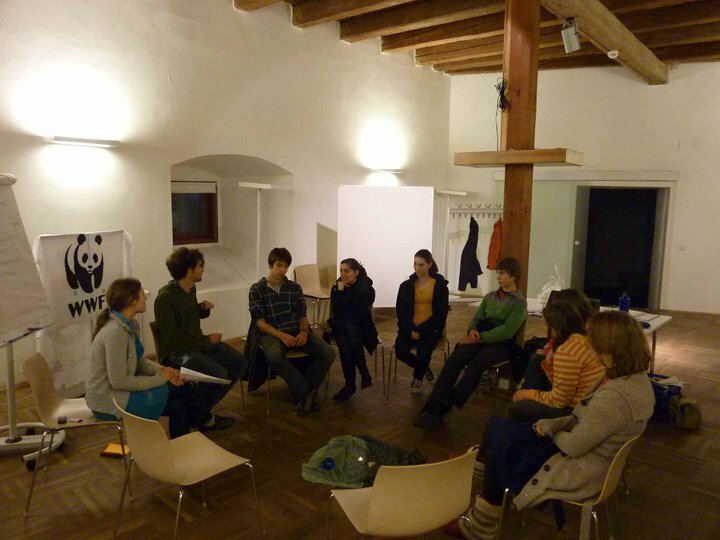 In October 2012, partners and WWF staff organized an event for youth workers called, “Umwelt. Klima. 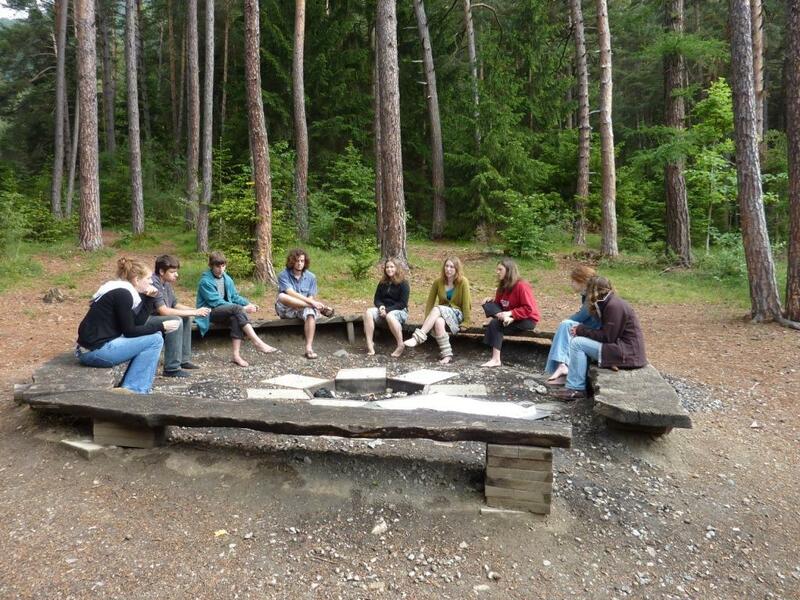 Scheißegal?” that focused on how public youth workers could bring nature connection, experiential education and the theme climate protection into their programs. 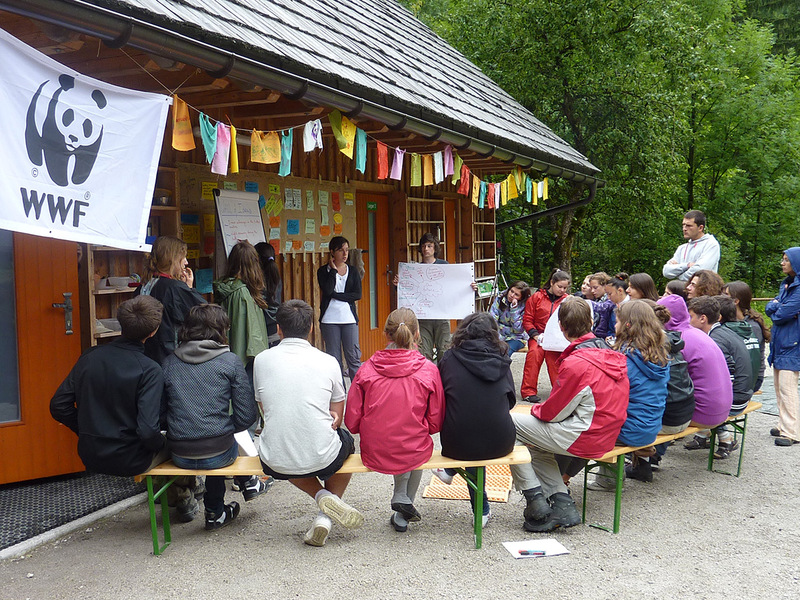 Within the next few months, youth and WWF staff organized two Action Days: “On the Trail of the Wolf” and “Call of the Lynx.” During these events, we connected youth with classical WWF topics of protecting key large carnivores and nature connection. 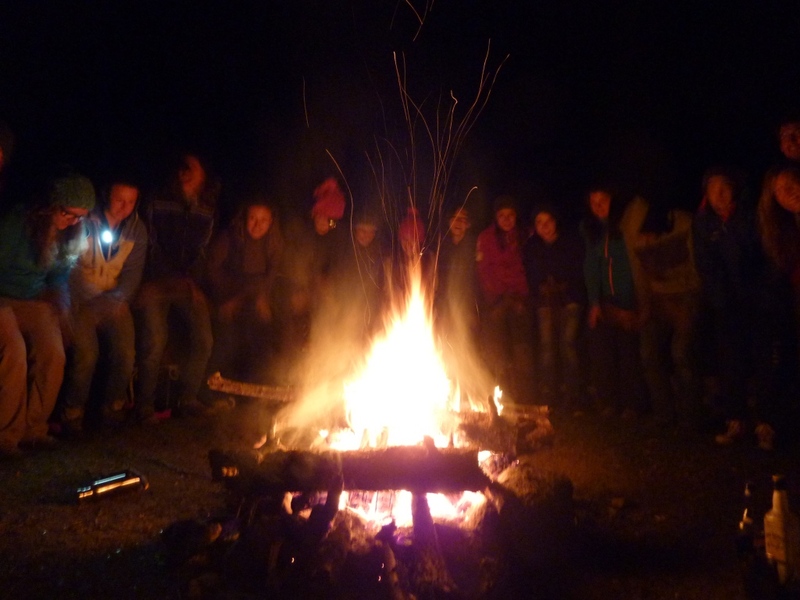 They offered participants chances to get outside and experience nature first-hand: learning to snowshoe, build a fire with a bow and drill, follow and track animals, and how to build an igloo in winter. 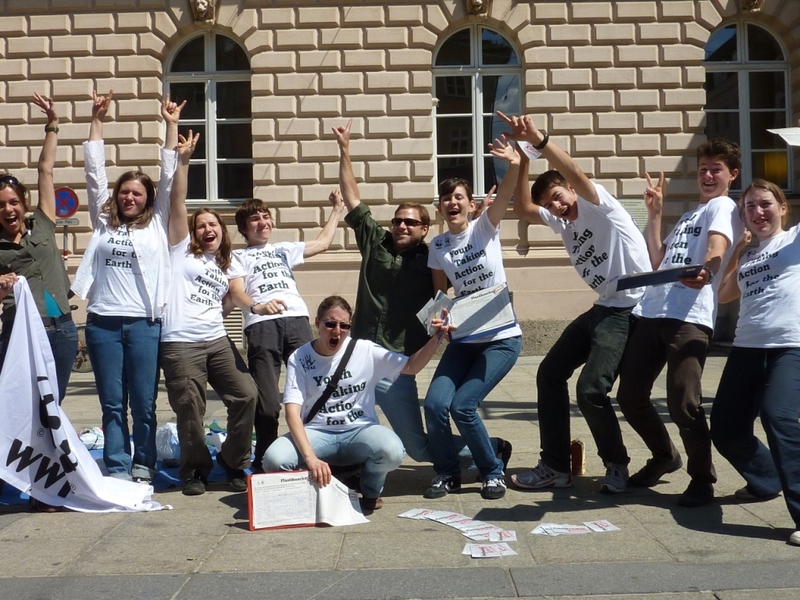 In the Fall of 2012, the first two “regional/local groups” were formed in Vienna and Innsbruck. 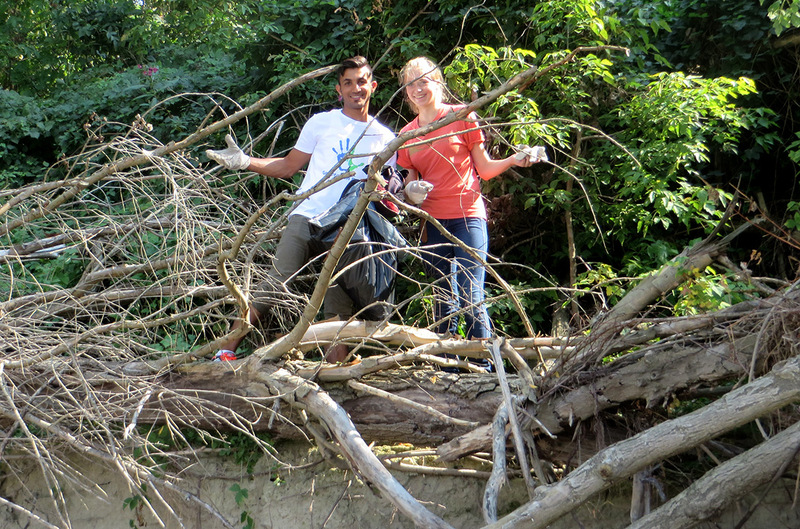 These groups of active youth met regularly and organized various local projects. 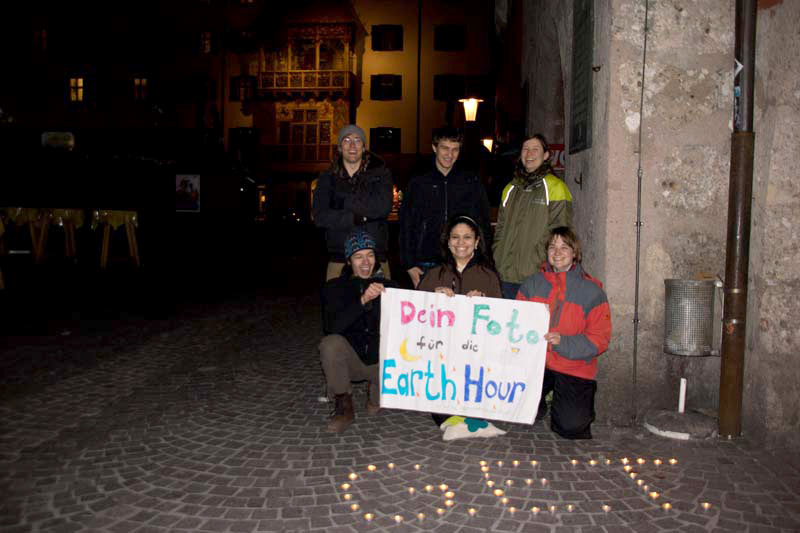 For example, they both organized Earth Hours in March 2013. 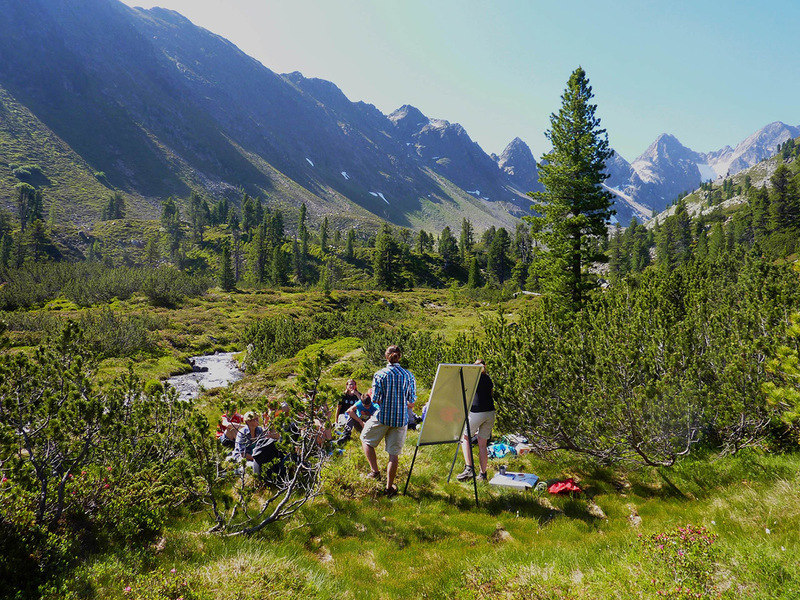 Over the years, these regional groups had their ups and downs, growing and shrinking; however, the Vienna group has been able to continue to meet and come up with regular activities including their famous “Stammtisch” (or bi-monthly meetups). 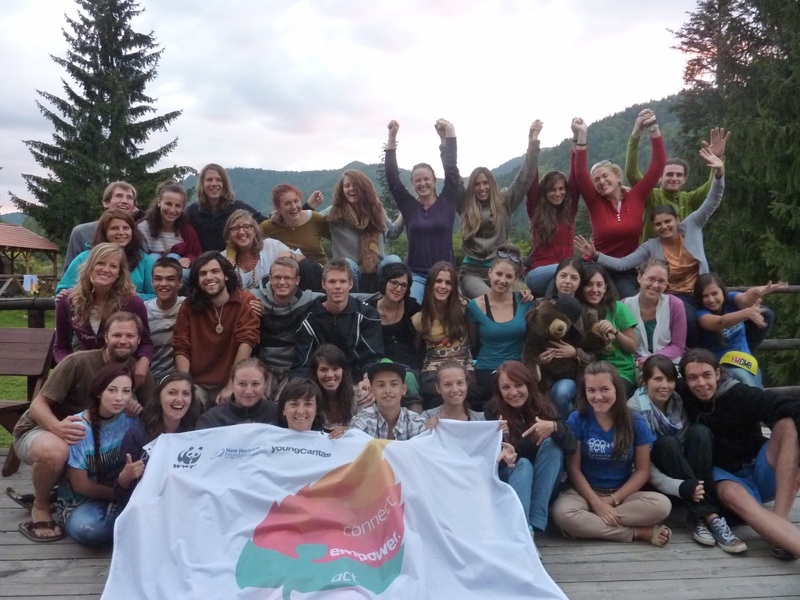 In the Fall of 2013, we kicked off an international project with WWF Romania, New Horizons Foundation (RO) and YoungCaritas Tirol called, „Connect Empower Act.“ Financed by the EU Youth in Action as a Youth Democracy project, we used the Action Leader Training format and methodology to work in and outside of Austria. 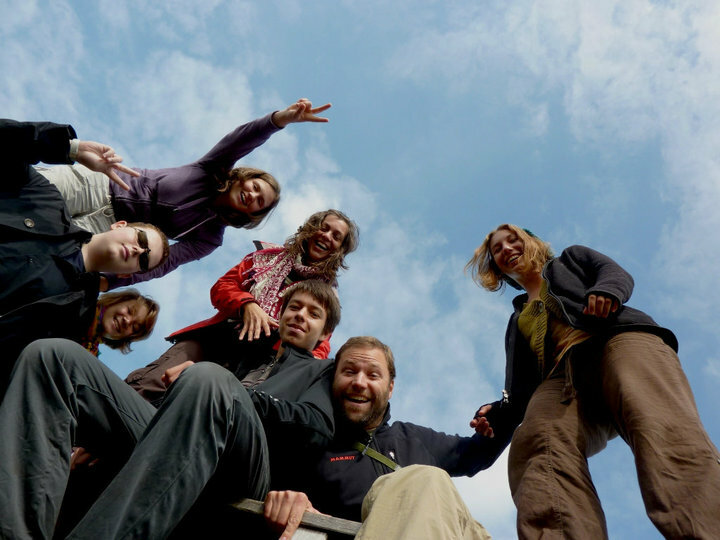 In September, a group of 20 youth from Austria travelled by train to a remote part of Romania (near Brasov) to have a orientation, exchange, and introductory “kick-off” week. It consisted of a number teambuilding, project management, and getting to know each other activities, as well as a focus on different environmental and social topics that our countries were facing. It wasn’t without the almost nightly visit of brown bears, a camping trip by a dormant volcanic lake, and lots of delicious Romanian food. 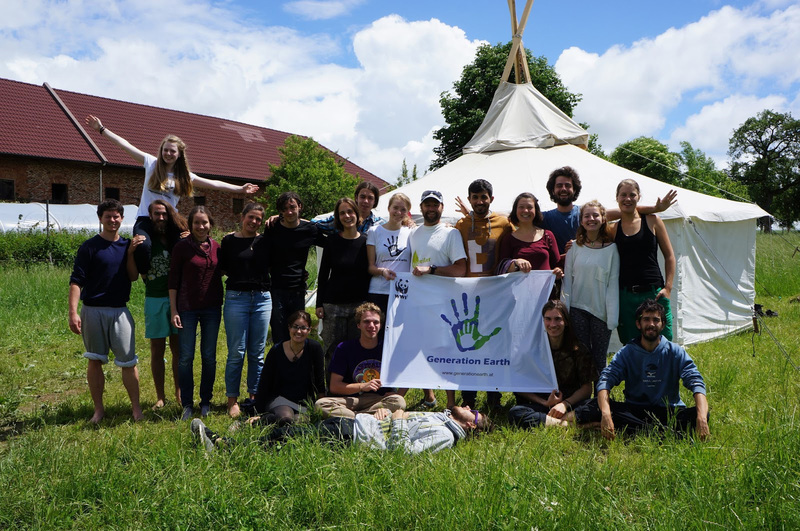 Participants then organized trainings in each country as well as their action projects which focused on various topics from food waste to reducing our ecological footprint. Only a month later, several members from GE travelled to Spain for a project we organized called, “Walking2WILD10.” Here, we walked a week through the “wilderness” with 20 other youth from Bulgaria, Latvia, Romania, Spain, and Turkey and arrived in Salamanca where we attend the “World Wilderness Congress: WILD10!” We took the world by a storm with our powerful actions: a press conference upon arrival, a flashmob where a hundred people howled like wolves, moving presentations in front of the entire congress, and we even got them all to sing “The river she is flowing” while we challenged them to listen and engage youth. In January 2014, a small team of GE members travelled with our plastic bag petition (with some 2000+ signatures) to Brussels with several other Austrian activists who brought another citizen’s’ petition, and together we presented 14,000 signatures to the Environmental Commissioner and discussed with him our appeal to “ban the bag.” Only a few months later, two GE members made the limelight in front of 100,000 people on the ORF TV program “Mutter Erde” (Mother Earth). As guests to the program, they were asked all about why they, as young people, had chosen to get active and what they had done. 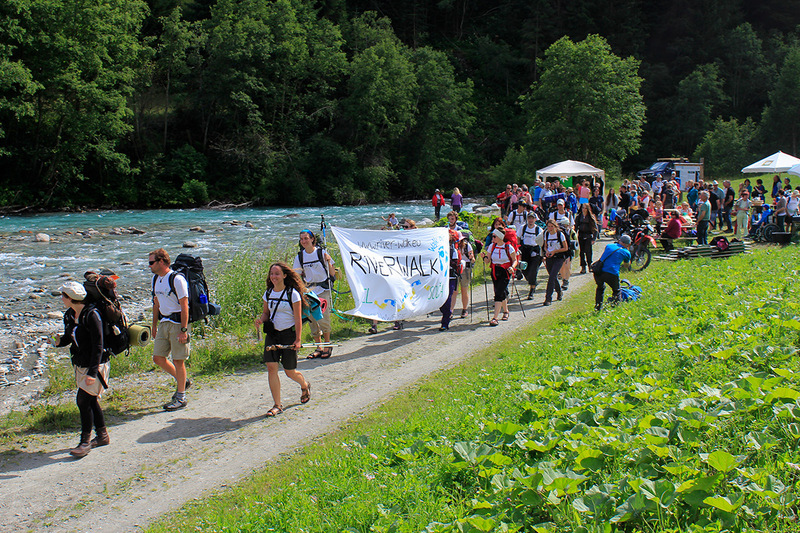 It was in summer 2014, that Generation Earth organized the first-ever “Riverwalk.” It would become an annual tradition, and the aim was to bring youth from different countries together to hike for 2 weeks and “discover and protect the last free-flowing rivers in Europe.” Twenty young adults from Slovenia and Austria walked, rode bikes, and paddled from the headwaters of the Isel River (East Tyrol) to the Socá River (Slovenia). These two amazing rivers were under threat of being forever changed by hydropower projects on their tributaries. 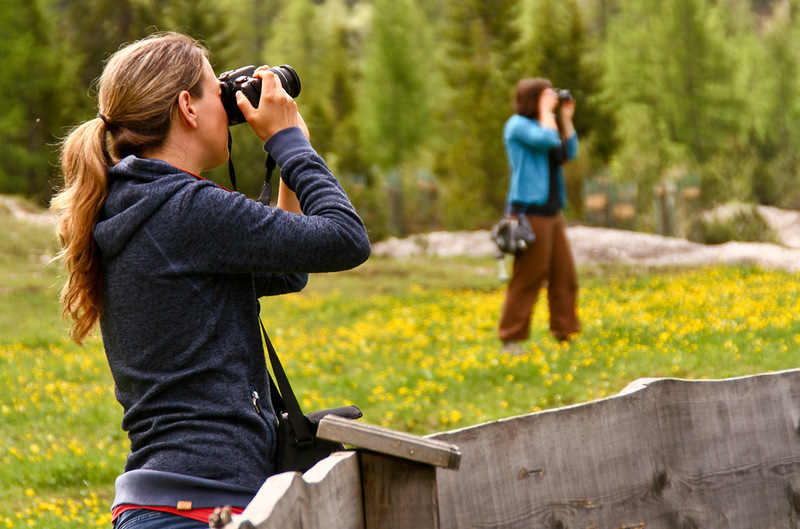 With much press attention and support from locals, we brought attention to the situation and are happy to say that the Isel is now under Natura2000 protection! As we entered our fifth year of youth empowerment, we realized that we needed to take new steps forward. 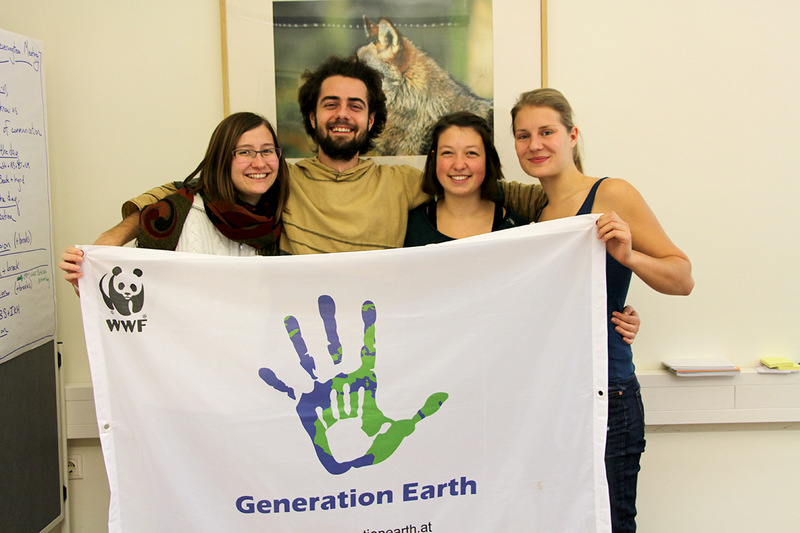 In order to strengthen the connection to WWF, involve youth more in decision-making processes, and elevate Generation Earth’s status within the organization, in the Fall of 2014, the first “WWF-Generation Earth steering committee” was formed. 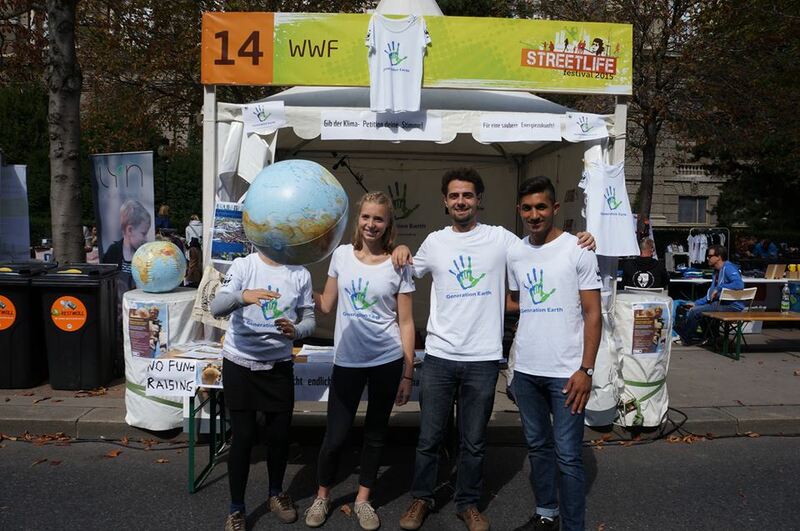 Consisting of 4 WWF employees (including the heads of conservation and communications/fundraising) and 4 youth representatives, the whole team meets face-to-face twice a year, while the youth talk monthly with WWF staff. It is tasked with among other things, setting direction for the group, representing Generation Earth at various forums, and deciding on the theme of the coming year. 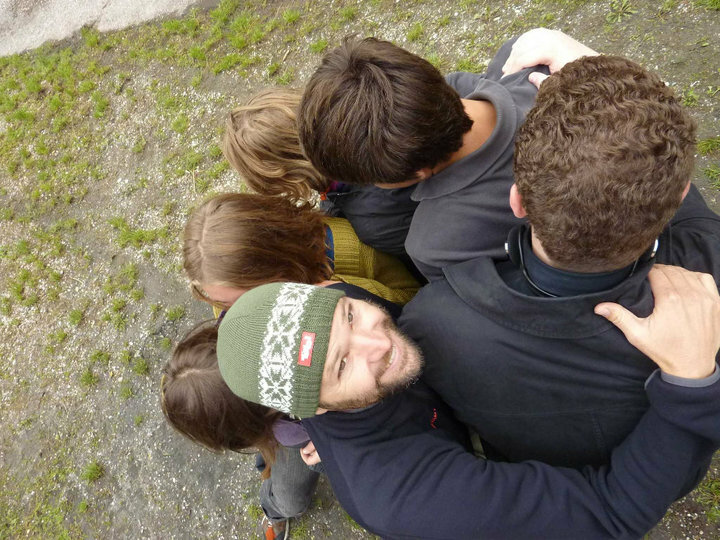 One of the first major actions that the team took on was leading an inclusive process to rename the group. 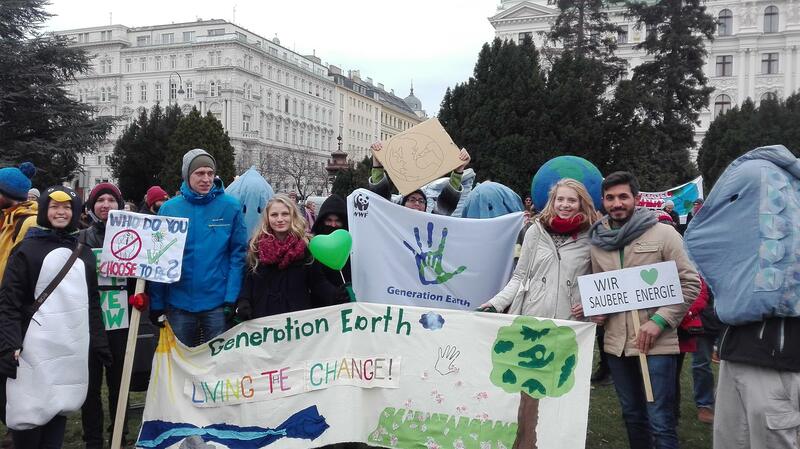 Realizing that the name “Youth Taking Action for the Earth“ was too complicated and cumbersome, we agreed on the new name, “Generation Earth.” Leaving behind the name, we kept the principles and energy of the group and looked to the future with new purpose and determination! Now, with clear goals and activities, we set off for the next 4 years with a new and expanded direction.